Months or even years can pass between the moment a homeowner decides to “look into” an inground pool and actually dig the hole to install it. It is not a snap decision. 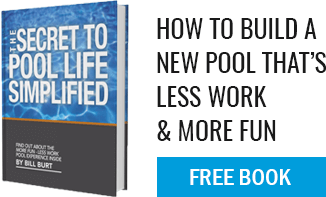 Quite often, an inground pool is the second most expensive purchase a homeowner will ever make, after the purchase of a house, so many people choose the highest quality inground pool—a gunite pool, which will last the longest of any type of inground pool. Also known as dry shotcrete, gunite is a mixture of cement, sand or crushed slag, and water, sprayed over reinforcement as a lightweight concrete construction. A gunite pool is one of the few handcrafted products remaining on the market today. Engineered to withstand the movement of the earth (due to regular movement and winter frost), the construction of a gunite inground pool starts with it’s design, which includes shape, size and location. One should not put an inground pool in the “easiest” location. Instead, speak with a custom pool designer and put the pool in the BEST location. If additional work is required to “do it right”, listen to the professionals and make an informed decision. All inground pools perform the same function: they cool us off. However, the reality is that you will look at your inground pool more than you will ever get into it! Owners will spend more time by the pool—entertaining, reading, sleeping and just enjoying the look of the pool. So, start with how you want the pool to look. If you visit any of our show pools, it’s easy to see the difference in quality between an inground gunite pool and other types of pools. All inground gunite pools built by Aqua Pool & Patio are customized, starting with the size and shape and including the size and number of stairs, depth and slope of the floor, and options like a sun-shelf, swim-out or loveseat. Unlike other types of pools, Aqua Pool is not restricted by the kits made by manufacturers. Every gunite inground pool is made of the highest quality materials and handcrafted by the most highly skilled craftsmen in the industry, supplying our customers with the longest lasting inground pool possible.